New Kingdom Hearts 3 E3 2017 Trailer Drops | Nerd Much? Square Enix has unexpectedly dropped a new Kingdom Hearts 3 E3 2017 trailer, showcasing more incredible-looking gameplay and a look at the upcoming story. 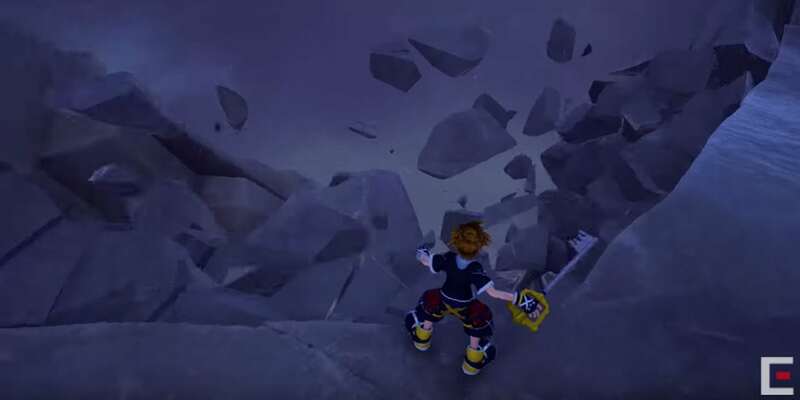 The new E3 trailer shows quite a bit of new gameplay, and it confirms that we’ll see the world of Hercules once again, as the trailer showcases Sora, Donald Duck, and Goofy atop Mount Olympus fighting off some Heartless. Interestingly enough, it shows Sora in a new form that allows him to perform special joint moves with his Disney bros, as shown by the vaulting maneuver he uses Goofy to execute. As far as the game’s story is concerned, we see a few key Disney villains, including Hades (Hercules), Maleficent (Sleeping Beauty), and Pete (Goof Troop), whom are all discussing a mysterious item that appears to be integral to the plot. What’s more, Square Enix teases that fans can look for the unveiling of a whole new world (no pun intended) with a brand new Kingdom Hearts 3 trailer that will drop during D23 Expo on July 15, 2017. We weren’t expecting KH3 to be at E3 this year after the latest leak put the game out of 2017 and likely 2018 as well. However, it’s great to see progress made and to get that reassurance that everything is going to be okay. For more of the latest E3 2017 news, stay tuned to Nerdmuch.com.